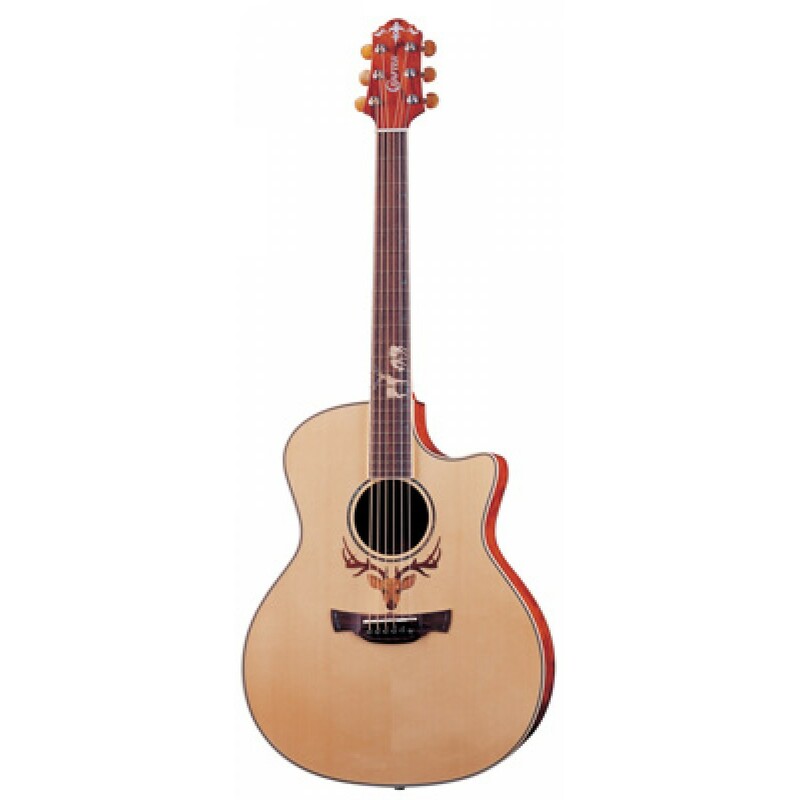 Folk guitar 6-strings model Dreadnought electricified with venetian cutaway. Solid top, rim and back bubinga, neck mahogany, machineheads chrome, with pre-amplifier. Case included.